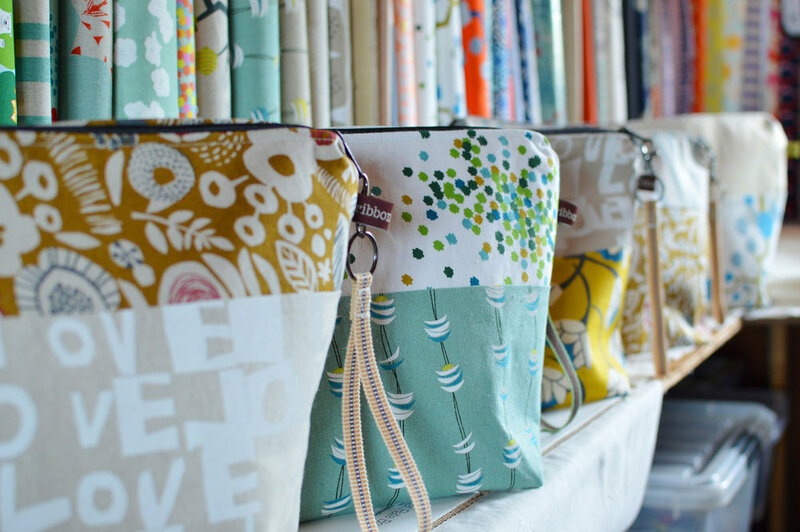 We specialize in functional handbags, cosmetic bags, knit project bags, and accessories. 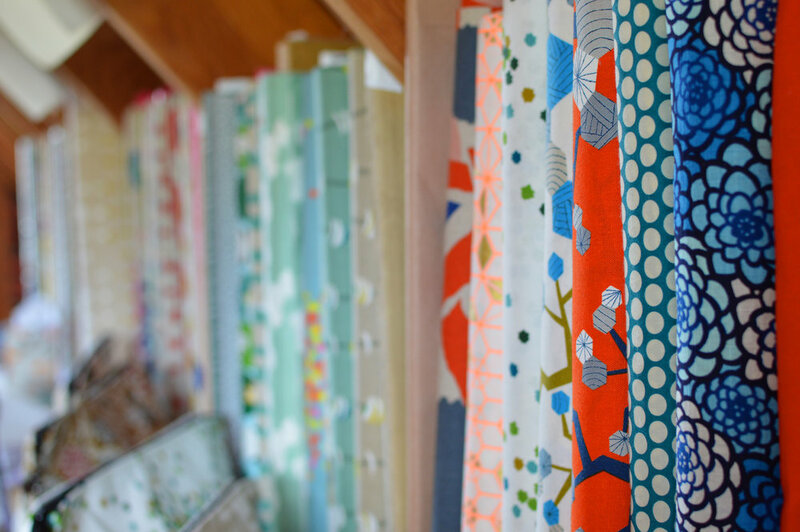 We use high quality grosgrain ribbons and dynamic Japanese Import fabrics to inspire the artistically created and functional design of each item. Twenty-four years ago, my sewing journey began with a baby blanket line called Suvvy Bundles (“Suvvy” was a word my daughter created to represent soft and fuzzy things). For a time, I sold baby blankets and burp clothes to local small businesses in Santa Cruz. My inspiration bloomed as the girls grew and soon the baby blankets evolved into functional, usable bags. It all began with ribbon. And the ribbon bag was born. We use high quality grosgrain ribbons and small-batch, dynamic Japanese import fabrics to inspire the unique, functional design of each item. We pay careful attention to detail and construction—sometimes it is necessary to double and triple stitch over high pressure points on bags, including where zippers meet, handles attach, and bottom corners are formed. Each seam is inspected to insure proper seam allowance, and if it doesn’t meet our standard, the seam gets reinforced. Add some color to the ordinary and brighten your day with a Ribbon Street original.